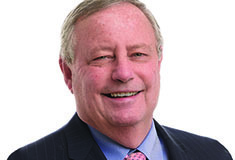 New York, NY Charles Copeland is president and CEO of Goldman Copeland, the NYC-based consulting engineering firm that has provided its mechanical/electrical design services to many of the most iconic buildings and institutions in the greater New York tri-state area for 50 years. He provides here his insights into the role of engineering in keeping New York’s real estate community functioning smoothly. -The New York Real Estate Journal recently joined with Copeland for a question and answer session. Q: How did you and your firm get to work on so many iconic buildings – from Carnegie Hall to Grand Central Terminal to the Empire State Building to the conversion of the Alexander Hamilton Customs House into the National Museum of the American Indian and so many more? A: We’ve worked in the tri-state area and beyond for 50 years, so we have a lot of experience. Our engineering designs cover a broad range of structures including office buildings, government facilities, university and college campuses, healthcare facilities, museums, theaters, religious institutions, and concert venues. We have also worked on many historic structures, so we understand older buildings in sectors where iconic spaces often exist. Above all, since its inception, our firm has been known for the high quality of its design concepts and documents, as evidenced by the many awards we have received. Q: How have you transformed one of those iconic structures? 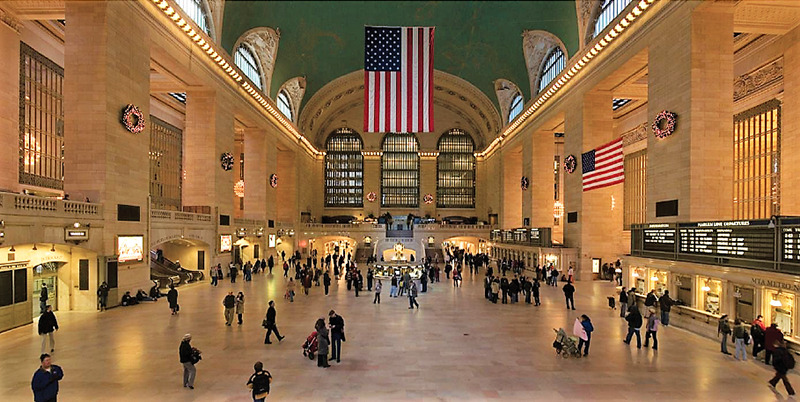 A: We spent 15 years designing the upgrading of Grand Central Terminal’s aging mechanical/electrical infrastructure – with some of its systems dating back to 1913. Those upgrades were designed to avoid disrupting the movement of commuters or adversely affecting the spectacular historic architecture. In that context, we air-conditioned the Main Concourse by hiding contemporary infrastructure within the large hollow vertical columns that flank that stunning space. The new air conditioning ducts run through the columns, discharging conditioned air through replicas of original 1913 air grilles. In addition, the unused ventilation roundels on both sides of the ceiling are now used for smoke exhaust. The entire project was honored by The New York Landmarks Conservancy. 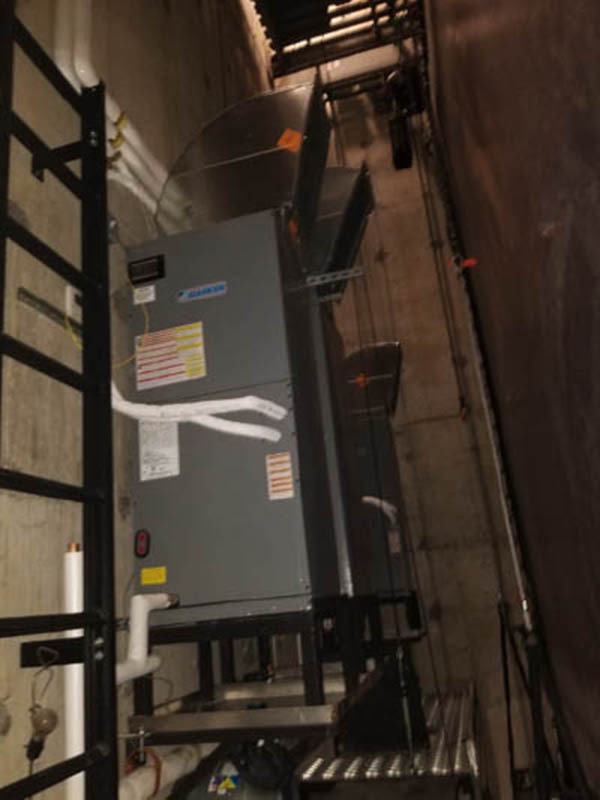 A: We not only upgraded the original air-conditioning systems at the St. James Theatre, but we added a 40-ton cooling system to accommodate the one million LED lights on stage and the various adjacent sophisticated tech areas. The theater itself is more than 90 years old and, interestingly, was designed by one of the architecture firms that designed Grand Central Terminal – Warren and Wetmore. Q: What’s the most challenging work you’ve done in one of those iconic structures? A: We helped transform the Alexander Hamilton U.S. Customs House in Lower Manhattan into the Smithsonian Institution’s National Museum of the American Indian. It was a major undertaking to turn that historic office building into both a contemporary office building and a museum. The building had been unoccupied for years. We developed, along with the architects, an interior space (cocoon) that contains the Museum within the outer historic walls of the building. This allows the Museum’s collection and the visitors’ experience to be contained within a climate-controlled envelope, while the historic outer structure is protected from the museum-quality conditions required to preserve the art, thereby avoiding any moisture condensation within the walls of the original structure. grilles through which the air conditioning flows. Q: You’ve been involved for several decades in energy issues in New York, and you’ve recently been awarded a patent for a way to control steam demand in NYC buildings. What do you see as the major energy opportunities and challenges for New York? A: The opportunities are in energy-efficiency and in technological advances. The patent that you mentioned is for a control sequence that I developed to reduce peak utility steam demand in NYC buildings by storing thermal energy in building hydronic systems. It’s now used in most of the NYC office buildings that were built in the 1960s and 1970s. Our firm was also recently honored for creating a Geothermal Screening Tool, an online solution that enables users to assess simply the feasibility of geothermal heating and cooling for every lot in NYC – close to a million lots. That’s one example of how new technology can impact energy usage. A major challenge comes from climate change and how that will affect the energy systems on which we depend. The steam energy system that powers so much of Manhattan is cogenerated, producing electricity and recapturing waste heat and producing as much as 50% more energy than a typical, remote, electrical-generation plant. This underground system makes our iconic office towers possible, but as in all systems it requires maintenance and vigilance. Q: You helped NYC determine the cause of the 2007 steam-pipe explosion at 41st St. and Lexington Ave. in Manhattan. What insights does that give you into the recent TriBeCa steam-pipe explosion? A: When steam-pipe explosions occur, like the recent one in TriBeCa, questions arise about the age of the pipes (85 years old in the TriBeCa case). Typically, however, the most likely cause is the accumulation of excessive steam condensate within the pipes, as was the case in the 2007 steam-pipe explosion. This can be due to a mechanical failure, as was true in 2007, or possibly excessive cooling due to increased stormwater drainage surrounding the pipes. As weather patterns change and rainfall intensifies, it will be challenging to address these new conditions – not only for the steam system but for many other aspects of our infrastructures. Q: When one thinks of energy-efficiency in commercial office space, one tends to think of new towers and LEED certification, but energy-efficiency can be enhanced in all ages of office buildings, can’t it? A: Absolutely. Goldman Copeland has designed innovative ways to conserve energy usage in many types of buildings from older structures like the Empire State Building to newer buildings like 330 Madison Ave. The former was built in 1931, while the latter was constructed in 1963 and upgraded in 2012 by our firm. Both have received awards – with the Empire State Building honored by The New York Landmarks Conservancy, and 330 Madison Ave. honored by BOMA New York as 2012 Renovated Building of the Year. Our firm has studied and improved the energy performance of over 50 million s/f of NYC buildings. Q: This month marks the 40th anniversary of enactment in 1978 of landmark federal legislation – the Public Utility Regulatory Policies Act (PURPA) – that was a crucial development in the evolution of alternative energy. You were involved in a pioneering solar energy event that precipitated that law. How did that happen? A: In contrast to our work with iconic structures, this event involved an innovative energy solution for an obscure residential building on Manhattan’s Lower East Side, which in the mid-1970s was for many blocks a dangerous and derelict area. A group of homesteaders at 519 East 11th St. were trying to resurrect an abandoned building and needed engineering help. Always concerned with the energy environment, along with basic mechanical/electrical systems, I designed a solar collector system, using early solar thermal panels, on the roof to reduce energy costs. Solar collectors were uncommon at the time, so the system required innovative calculations to optimize their operation. Soon thereafter, based on the success of the solar panels, the building installed a windmill on the roof as well. The wind energy system occasionally created an excess of electric power, which could be sent back to Con Edison’s grid. At that time, Con Edison prohibited any connection to their electrical grid. After an attempt to negotiate, the homesteading group and their allies ultimately contacted former U.S. attorney general Ramsey Clark, and he agreed to support their position before the New York State Public Service Commission pro bono. 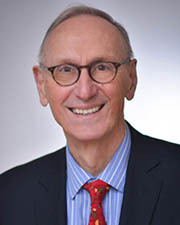 Ultimately the Public Service Commissioner ruled in favor of the building, and the ruling became a crucial forerunner of PURPA, which was key to enabling safe connections to the electrical grid. Q: Did you know at the time the importance of that pioneering work? A: I knew that the work was at the forefront of alternative energy usage, but I never imagined that we would be celebrating 40 years later its role in landmark federal legislation that changed the course of alternative energy and enabled it to become a vital vehicle in combatting climate change. We had a reunion recently with some of the homesteaders involved in that project, and it underscored for me two crucial lessons about impact: first, individuals can affect change by doing the right thing in their own communities; small acts can have far-reaching effects. Second, you often don’t know what actions will have the greatest impact over time. Sometimes, it’s the actions that seem less notable at the time that become more notable over time.